Diane E. Lifton, ranked by The Legal 500 United States as one of the top product liability and mass tort defense lawyers (pharmaceuticals and medical devices), is Co-Chair of Hughes Hubbard's Life Sciences and Product Liability Groups. Ms. Lifton is also the Co-Chair of Hughes Hubbard’s Hiring and Diversity Committees. In her roles as Co-Chair of the Product Liability Group and a member of the litigation department, Ms. Lifton has represented a broad spectrum of product manufacturers in the coordination and trial of high stakes pharmaceutical, medical device, and toxic tort product liability, patent, and commercial litigations. In addition, Ms. Lifton has handled numerous cases involving asbestos exposure, tobacco, and a variety of industrial products. She has extensive experience developing medical and scientific experts — and successfully challenging the opponent’s experts — in a broad range of fields, including pharmacology, toxicology, oncology, pathology, gastroenterology, dermatology, neurology, rheumatology, cardiology, psychiatry, pulmonology, materials science, and FDA regulations. 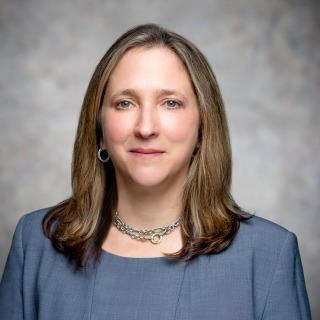 As Co-Chair of Hughes Hubbard’s Life Sciences Group, Ms. Lifton develops and serves on cross-disciplinary HHR teams that support the business goals of the firm’s pharmaceutical, medical device, and biotechnology clients. With more than 25 years of experience, Ms. Lifton has counseled clients throughout the life cycle of their businesses and their products, evaluating existing internal company policies and developing new ones, collaborating in the evaluation and updating of compliance programs, supporting clinical trial programs through the drafting and negotiation of clinical research and indemnification agreements, reviewing contracts and sales and marketing material accompanying product launch, assessing the impact of social media on product safety surveillance, conducting due diligence associated with the licensing and acquisition of pharmaceuticals and medical devices, and performing pre-litigation risk management and training. Cross-disciplinary teams provide client support in a host of areas, including in the identification of potential new areas of product investment through market research and analysis; in the acquisition of intellectual property, product lines and target companies through M&A, joint ventures and licensing deals; in the litigation and arbitration of disputes arising out of such collaborations; in the prevention and investigation of compliance-related issues; and in the assessment of export controls. Ms. Lifton advocates for changes in local and federal laws affecting product manufacturers in her frequent lectures and publications and through her membership on the Legal Advisory Board of the New Jersey Institute for Civil Justice. Areas of reform she has addressed that are critical to reduction of mass litigation against industry include bringing state evidentiary standards applicable to the admissibility of scientific opinions in line with federal Daubert principles, reducing the reach of state consumer fraud statutes, reduction of exposure to punitive damages, and federal preemption of state law claims. Named in Chambers as a Recognized Practitioner in Nationwide Product Liability and Mass Torts. Spearheaded successful opposition to the designation of a New Jersey pharmaceutical litigation as a "mass tort"